Bat Creek Stone: At a Glance is now available for the Nook and Nook Color from Barnes and Noble! It is only $3.00 for a temporary time! This entry was posted on December 27, 2011. It was filed under Uncategorized. 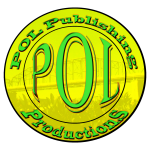 Hosted: POL Publishing & Productions.